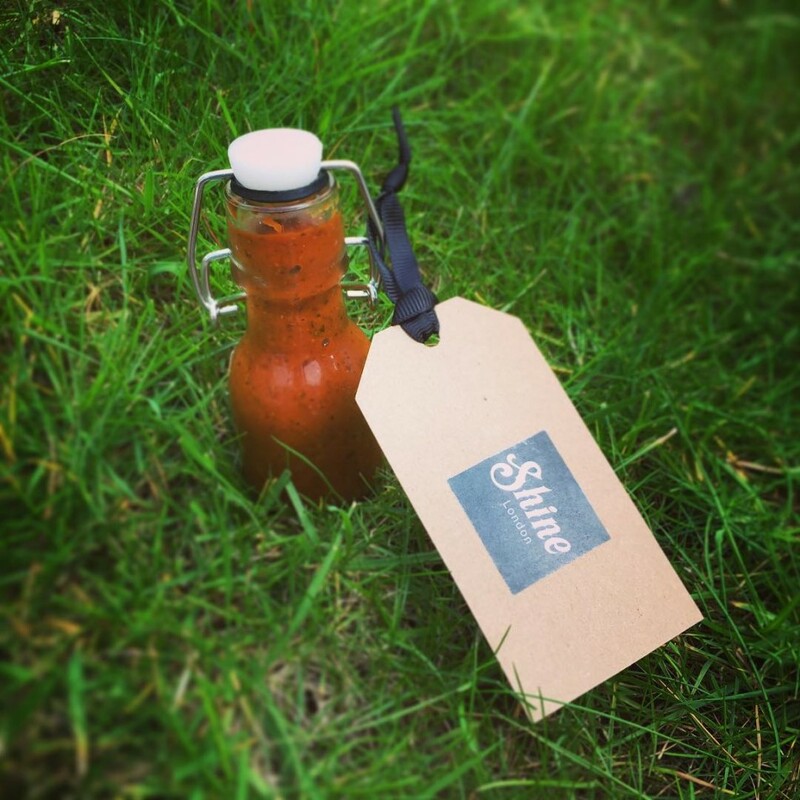 The guys at Shine supplied me with some Moonshine which tastes amazing and one of the flavours inspired me to want to make a BBQ Sauce from it, so here it goes. Melt your butter in a large pan. Add your chopped onion, garlic and ginger and cook for a few minutes until the onions are softened. Now add your moonshine and keep a high heat to reduce it. Add your ketchup, cider vinegar, whole grain mustard, sugar and water. Bring to the boil and then reduce heat to a simmer. Add the all spice, smoked paprika, coriander leaf, runny honey and Worcester sauce and allow to simmer for around 20-30mins or until it starts to thicken then remove from the heat. Once the sauce has cooled you can use a hand blender to make it smooth.